Such are the wonders promised by Hotel Dare, an upcoming original graphic novel just announced by BOOM! Studios. Written by Terry Blas and illustrated by Claudia Aguirre, Hotel Dare finds a sibling duo uncovering all sorts of wonders at their estranged grandmother's hotel. I mean, space pirates? Sign me up yesterday. LOS ANGELES, CA (May 21, 2018) – BOOM! Studios is proud to announce HOTEL DARE, an all-new original graphic novel (OGN) written by Terry Blas (Dead Weight) and illustrated by rising talent Claudia Aguirre (Kim&Kim). Arriving in stores April 2019, this world-hopping fantasy follows Olive and her adopted siblings, Darwin and Charlotte, as they spend their summer with their estranged grandma Mama Lupe at her creepy hotel in Mexico. When their boring chores lead them to discover a secret hiding behind every door of the hotel – thanks to a mysterious ancient mask -- the kids are transported to three magical worlds filled with space Pirates, bearded Wizards, and cotton-candied kingdoms. But if they’re gonna save these three worlds from certain jeopardy, they’ll need to embrace the love and acceptance of family…before they tear themselves apart! 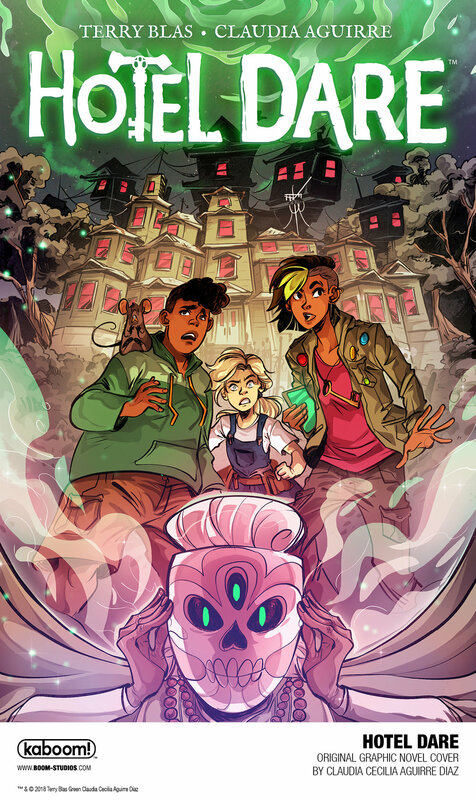 "HOTEL DARE is the exact kind of story I've always wanted to write: an all ages adventure featuring a diverse family that spans worlds and times,” said Terry Blas. 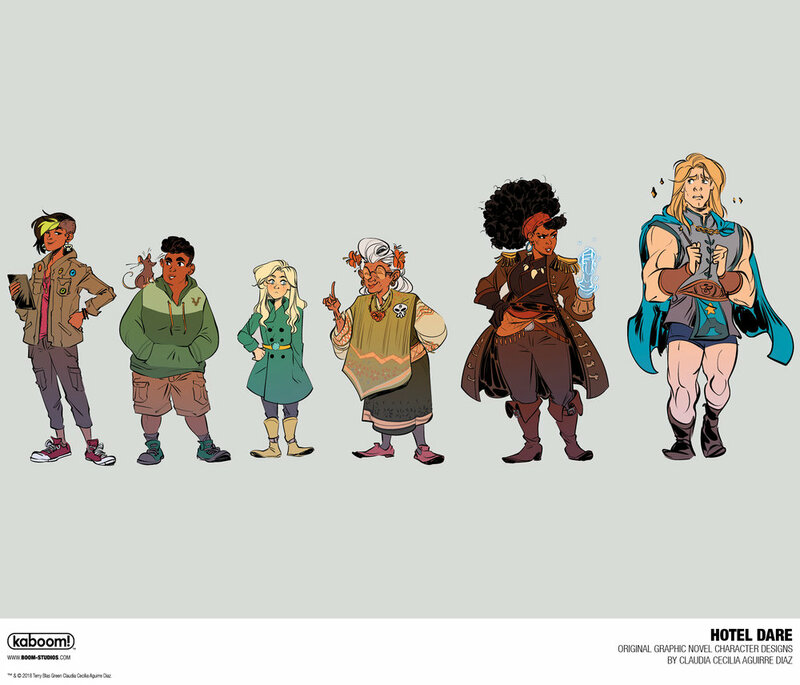 “To bring this type of story to life, featuring characters from some of the largest minority groups with the least amount of representation is important to me and hopefully it will connect with people of all backgrounds, interests and ages." Hotel Dare will be available in April 2019. In the meantime, check out the preview gallery below.